Company MARTING s.r.o. 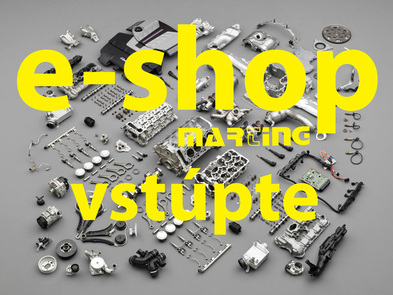 cannot be simply included among common business companies operating in the Slovak Republic. Company MARTING s.r.o. is before anything else a team of specialised technicians and traders with more than 20 years of experience in the field. Since our foundation in 1993 we have been dealing with a whole range of business activities in the field of supplying both domestic and foreign partners with original spare parts for a wide range of agricultural, forestry, building and handling technology. Our subsidiary company PNEUCENTRUM MARTING s.r.o. (www.pneucentrummarting.sk www.aapneu.sk) specializes on retail, wholesale, eshop and servicing related to deliveries of a wide range of passenger, freight, industrial, agricultural and special tires with accessories. The tire service is equipped with state-of-the-art technology and the company has storage capacities for several thousand new and customers' tires. We have utilised rich export and technical experience as the co-founder and partner of the commercial consortium AMERCOM cc (www.amer-com.com) focused on direct trading, business representation and consultancy-advisory activity especially in the area of implementation and operation of mobile technology, biotechnologies, water treatment and energy from renewable sources. The target group of the consortium constitutes partners in Latin America (Cuba, Paraguay ...), Africa (Angola), Spain and Portugal.